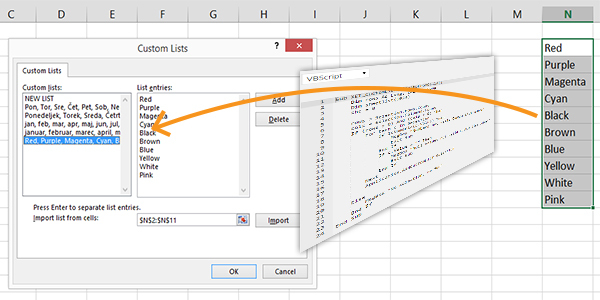 Custom lists are very useful in Excel because they are a quick way to get multiple entries into cells and sort pivot tables in the desired manner. They are constantly used to get a sequence of month names or names of days such as Monday, Tuesday…. 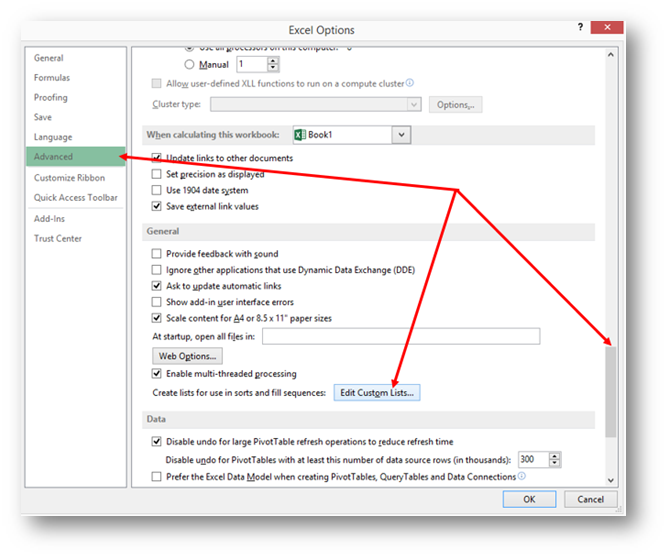 FILE/Options and then Advanced, and scroll almost to the bottom and then choose Edit Custom Lists…. At this point you will see the Custom Lists that are available to you. 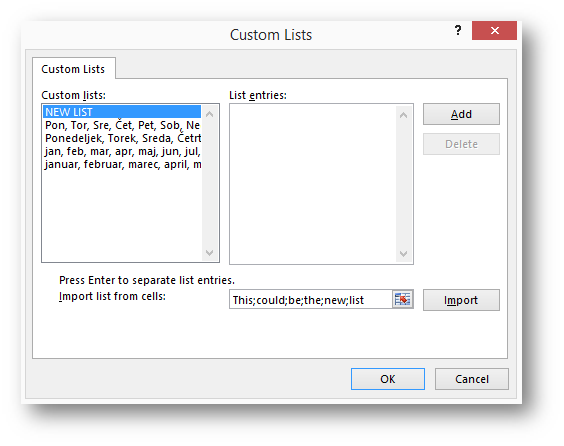 In the same window you can add your own custom list by entering the list manually divided by semicolon or by selecting cells containing the new list and pressing Import. MsgBox "Numbers not valid Custom List values"
MsgBox "Null values not valid Custom list values"
MsgBox "No selection, no fun"